Jefferson Elementary School has partnered with the Manhattanville College to become even greener. Under leadership of Maia Starcevic and Aimee Ferguson, proud recipients of the exclusive Science Wipro Grant, and in cooperation with the Manhattanville College fabulous raised beds were built right at the front playground. Students and parents were participating and learning about the concept of thematic raised beds and they came out beautiful. And right next to it, is Jefferson’s new compost tumbler. Because Jefferson’s students are all about feeding the garden. All students are now seasoned waste sorters in the lunchroom and know that most packaging can be recycled, and all food and paper products can be composted. 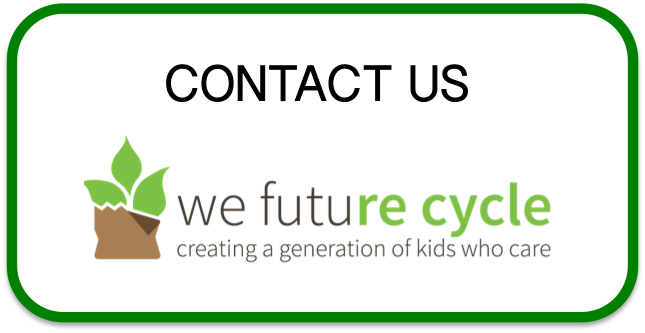 Bringing Sustainability to the next level, students recently learned in class by class presentations led by We Future Cycle’s experienced trainers about healthy foods and making healthy choices. Fruits and veggies are really the best snack food and students are gobbling them up. Teachers are seeing more and more healthy snacks coming in and also foods in reusable containers, rather than plastic baggies. Gone are the chips for snack, and welcome Mr Apple! And it is that apple core, or banana peel that will go into Jefferson’s composter, making the circle of life suddenly touchable for the children. Everyday at snack, the students will put all healthy snack waste into a little blue bucket instead of into the classroom trash bin. That blue bin is then carried into the courtyard and emptied into the composter. Students can see how decomposition takes place over time, and they realize that there is nothing yucky about composting. Each time they bring snack without creating garbage, they are rewarded with a leaf, that will then be proudly pasted to the “Jefferson feeds the Garden” Tree right outside Assistant Principal Ms Bruno’s office. Jefferson students are making a difference, every day, and they are shaping their community by asking mom to give them healthy snacks without creating any garbage.